You may now and for the first time in the history of panoramic photography take panoramas without a specific camera. You don't even always need a panorama software, since our smartphones are able to stitch them directly. In fact, the camera doesn't matter much, but better it will be, better and above all bigger will be your panoramas and their prints. What camera to take a panorama? Any camera can do the trick, even a smartphone. It's just that the bigger the files are, the better will be the final quality if you want to make big prints. It's also true that the more possibilities will your camera offer, the more you'll be able to control your work within the framework of a series. The ideal thing would be to be able to change over numerous settings in full manual mode. But once again, it's even possible to stitch a panorama with a smartphone. Besides, almost all of the smartphones equipped with a photo sensor do have an automatic image panorama software directly installed into the telephone. A self-timer set by two seconds, combined with the raising of the mirror, for gigapixels projects taken with powerful telephoto lenses. The possibility to work in RAW format. An efficient sun visor on the lens - almost essential! An accessory shoe for the flash unit, for the bubble level or the transmitter of the remote control. Piece of advice! If you want to have a control over your work, your camera must be able to switch to a manual exposure mode and a manual focus control as a minimum. The RAW format is a real asset. If most of the time, you can do with the cell integrated to the camera for the general measurement, it can be very useful to measure certain differences in contrast accurately. Even though I highly recommend to do the shots in manual mode so that every picture receives the same quantity of light, some pieces of software easily harmonize small differences of luminosity between two consecutive shots. It is thus possible to make slight corrections to harmonize the right and left parts of the picture. If the sun is to our right, the left elements will be in full sunlight and the right ones in the shadow since the angle is often above 150Â° in panoramic photography. By slightly correcting the exposure during the shot, it will then be possible to underexpose slightly the sunny part and vice versa. You just need to make sure not to exceed corrections over 1/3 diaphragm between two shots. This way, you can recover at least two diaphragms on the entire picture. In this example, I recovered 1 diaphragm. When you've had a hard time carrying your heavy tripod around and level everything to realize a nice panorama, you might as well want to avoid camera shakes! Under some circumstances it's even almost essential: high tripod or telescopic pole for instance, long exposure times, shots with a teleobjective lens or even with amateur bodies without raising mirror nor self-timer. It can be in the form of a cable switch, a wired remote control or even a wireless remote control, infrared or radio. 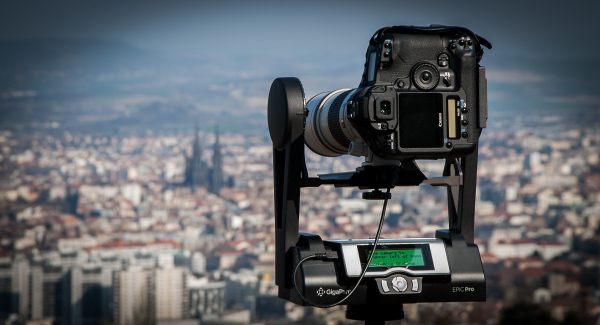 It's even included within panoramic motorized heads to make gigapixels panoramas. In practice, I prefer wired remote controls or radio remote controls, because they always function, whatever the sunlight level. New! More and more camera bodies allow, directly or not, to port their liveview functionality to iPhone, iPad or any other tablet via a WiFi module, native or added up. It really comes in handy! Not only do you perfectly see what the camera sees, enlarged if on a tablet, but you can take control via a very clear user interface. 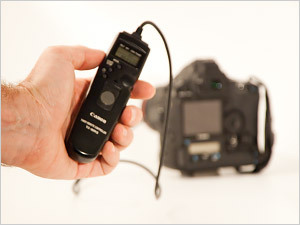 Roughly, almost all of the shooting functionalities of your camera are accessible. To this can be added the more classical but also cheaper radio remote control, because I strongly advise you against infrared remote controls, even cheaper but so inefficient outside because of the sun. This radio remote control has a range of 100m and can function on 16 channels. Caution when you place your order: the connecting cable is contingent on your camera body. For Canon and Nikon cameras. The reliability seems satisfying and the manufacturing quality doesn't look too Made in China. I adopted it. 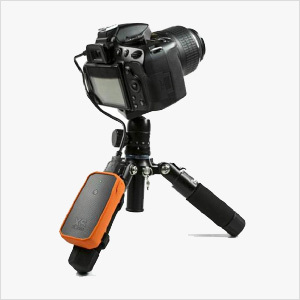 This WiFi transmitter displays on your Apple or Android smartphone the soft copy from your camera body and allows you to take control remotely to a certain extent (Focusing, White Balance, ISO, etc.). 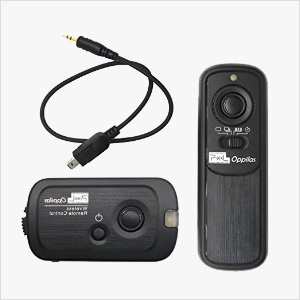 Compatible with numerous cameras; check the compatibility with your body. 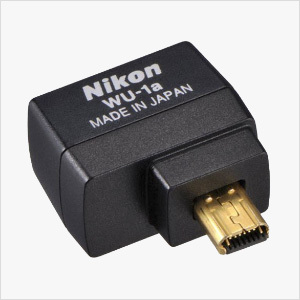 This Wi-Fi transmitter sends back to your Apple or Android smartphone (via the Nikon WMU app) the Liveview image of your camera and allows you to take remote control to a certain extent (Focus, WB, Sensitivity, triggering , etc.). I adopted it for my Nikon D7100 camera. 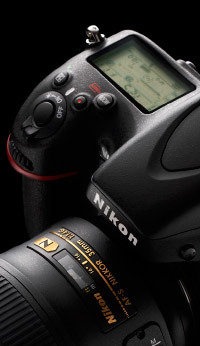 For many Nikon cameras; Check compatibility with your case. As always in panoramic photography via image stitching, the sinews of war is the quality of the covering zone between two consecutive images. They have to be as similar as possible. And flashes can create very pronounced drop shadows and above all different from one photo to another. So if the flash offers the possibility to be directed towards the ceiling - hence inside - the flash won't cause drop shadows that could lower the quality of the final stitching. It's thus completely possible to use it. Outside, during the day, it could as well be used to clear a shadow. Maybe then would it be interesting to ensure that the cleared part of the picture isn't in a stitching zone, and not to move the flash between two shots. A good solution would then be not to place your flash in the hotshoe, but to hold it in your hand and always turn it in the same direction when you're shooting a given zone. Today, more and more systems function wirelessly and with several flashes. Very handy! Apart from that, you'll be confronted outside to the standard issues coming with the use of a flash, that is its maximum range.